Today is the day to make your grocery shopping list and start checking off your “to do” tasks on the master list you created a week ago. You did make a list, didn’t you? Never mind…of course you made a list. 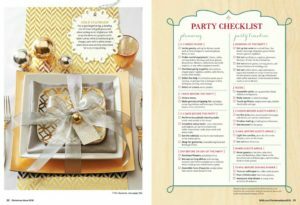 In a shameless plug, last holiday season Better Homes and Garden featured the Check-off List and Timeline from “Which Fork Do I Use?” in their Holiday Entertaining issue that was on the shelves from September – December. Can’t read the small print? 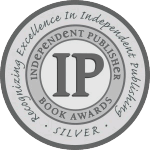 Please visit our website to order your full copy of our award-winning book. We’ll personalize it if you leave us a note. There are some key tasks you can do early to reduce stress on Thanksgiving day. Don’t be that host who is frantically looking for a special bowl or platter, and then not be able to remember which closet or special hiding spot (under the bed) that you placed it. Get those servings pieces out now, along with serving spoons and forks. Put stickie notes inside the bowls and include which food you want to go in that dish. This is especially helpful if you have others helping you. 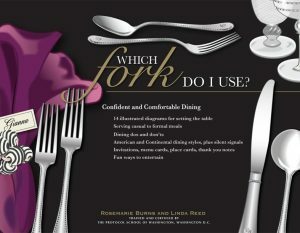 If guests are bringing side dishes, pull out extra serving spoons and have them readily available in case you need them for your dinner. Take your carving knives and paring knives to have them sharpened. Once you have sharp knives to work with you’ll wonder why you don’t have them sharpened more often. Begin to do the shopping for extra ice, cocktail napkins, cocktail fixings and set up your bar area now. Set out cocktail glasses, arrange the napkins, get out the equipment necessary to mix cocktails, and call one of your guests to ask them to be your mixologist. One more task checked off your list! If you’ve been watching the Food Network chefs this past week, they been busy creating turkey day cocktails. One in particular made with pumpkin puree stands out. Did you know you can buy pumpkin pie spice vodka? Time to go try out that recipe. We’ll be back later.